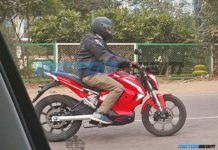 There is no denying the fact that Honda Motorcycle & Scooter India Pvt. Ltd is the unbeaten king of scooters in the domestic two-wheeler market and from the day they separated with Hero, they have been very aggressive to capture the market share. 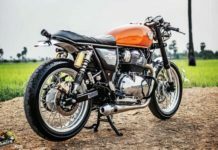 HMSI launched around fifteen products last year including CB Hornet, CB Shine SP, Livo and CBR650F along with facelifts and they want to continue that streak this year too with some new products. I still remember the first newspaper advertisement of Honda Navi mentioning ‘Happy Navi Year’ with the quote ‘Whatever it is, its Fun’. 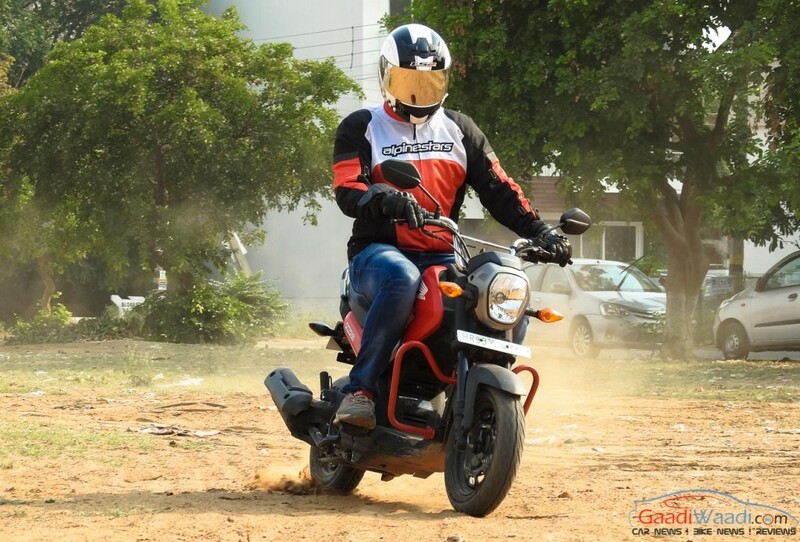 Well written lines as Honda Navi has really personified those words ‘Whatever it is, its Fun’. 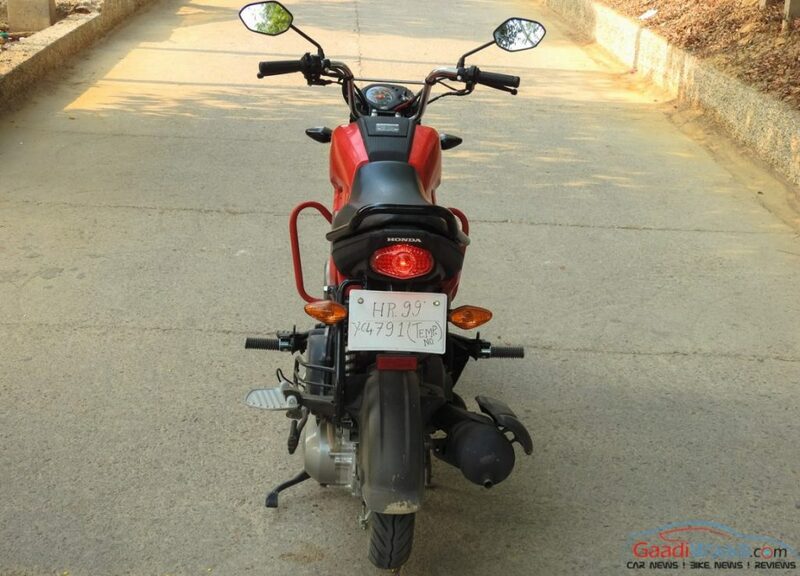 Powered by Activa’s 110cc engine, Honda Navi from front looks like a moped, side gives an impression of electric bike while rear view is much similar to the family’s other gearless scooters with CB Stunner taillamp. 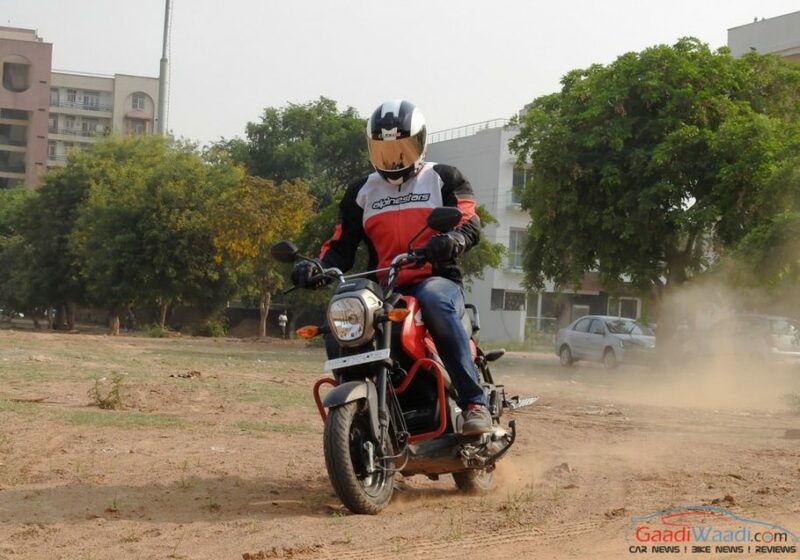 Thus, we can say Navi is a cocktail of Honda 2 Wheelers but whatever it is, its Fun. 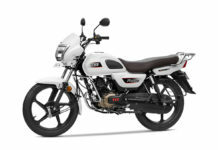 Talking about the design of Honda Navi, it features a sporty and funky styling which surely grabs attention. 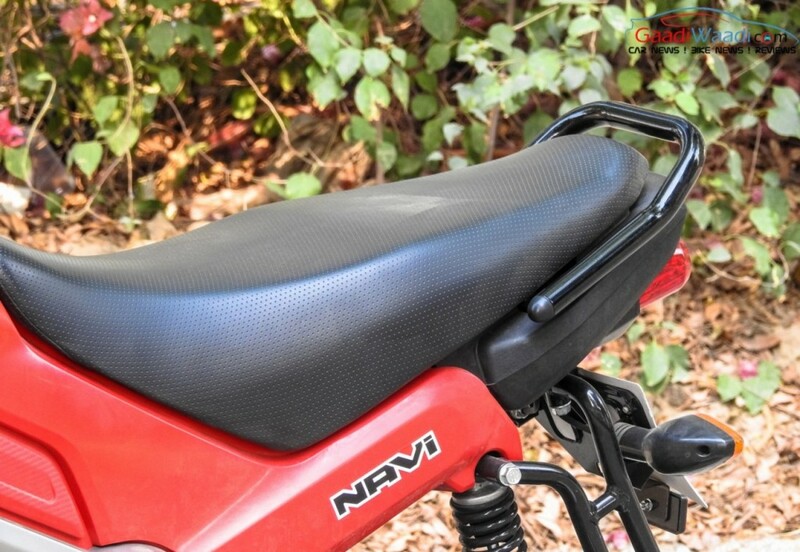 The Navi has been clearly designed to be a blend between bike and scooter. Both the bike and scooter’s characteristics come into effect in the Navi’s styling. 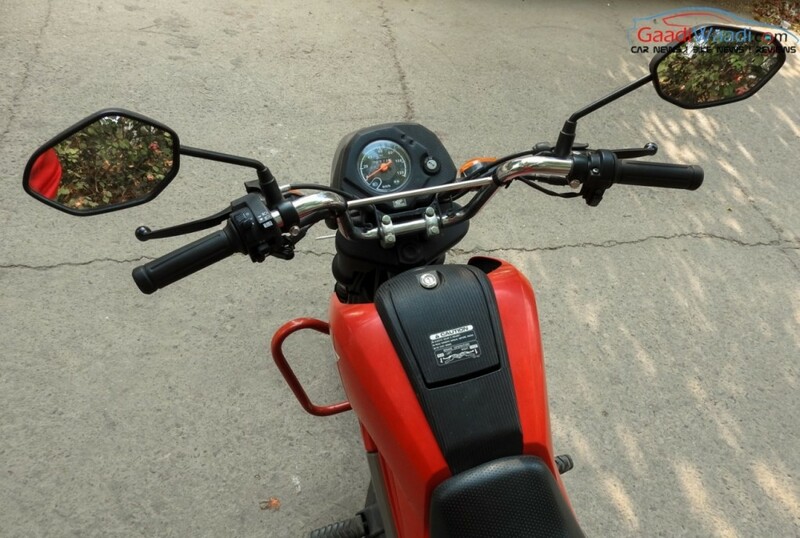 The space between the headlamp and the handlebars of Navi along with the front fork appears like a bike, while the storage space under the fuel tank comes similar to a scooter. 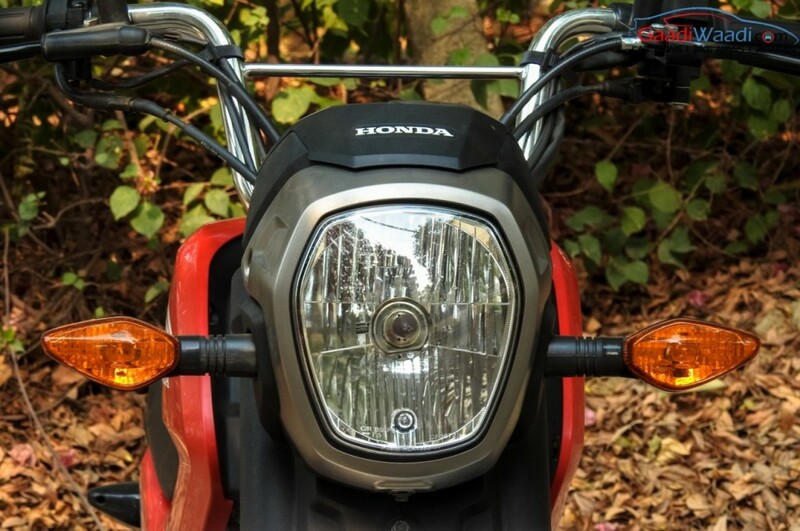 The fuel tank and the headlamp have been designed taking cues from some Honda motorcycles. 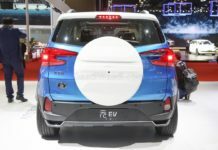 The fuel filler cap is positioned on the fuel tank, just like the motorcycles. 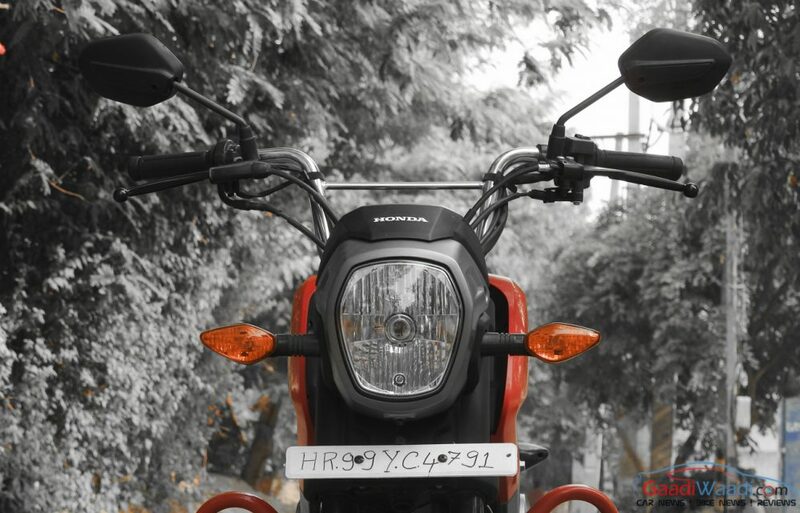 The taillight looks identical to the Honda CBF Stunner, while the exhaust looks similar to the Honda Dio. 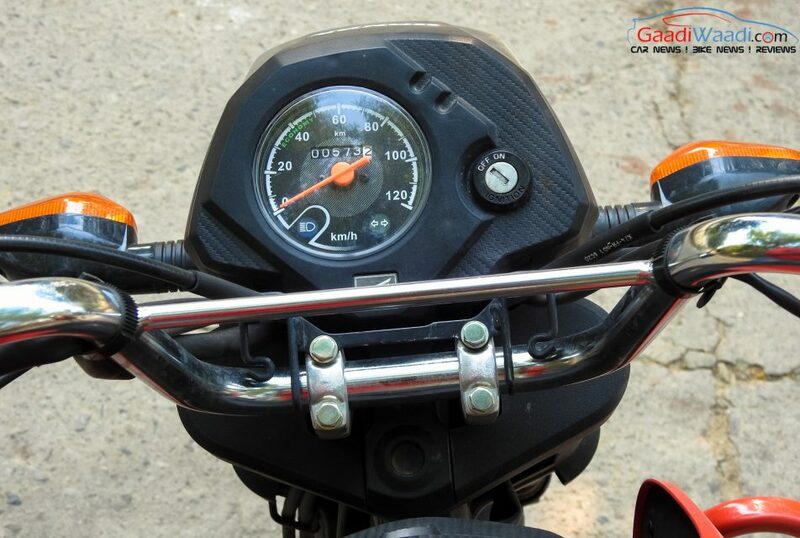 The Navi gets a fresh instrument cluster, but there is no fuel indicator. 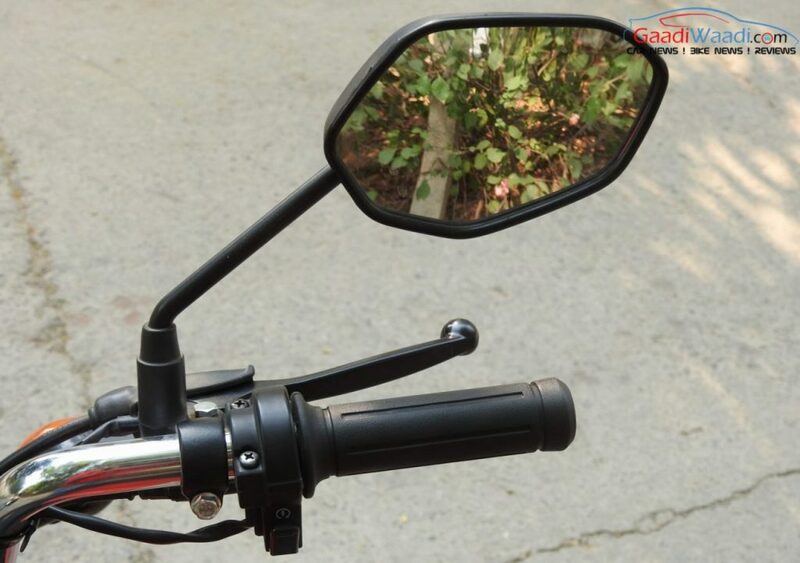 The switch gear has been taken from Honda Dream series and the side turning indicators appear with diamond like shape. The front receives USD fork suspension, while the rear gets mono shock absorbers. 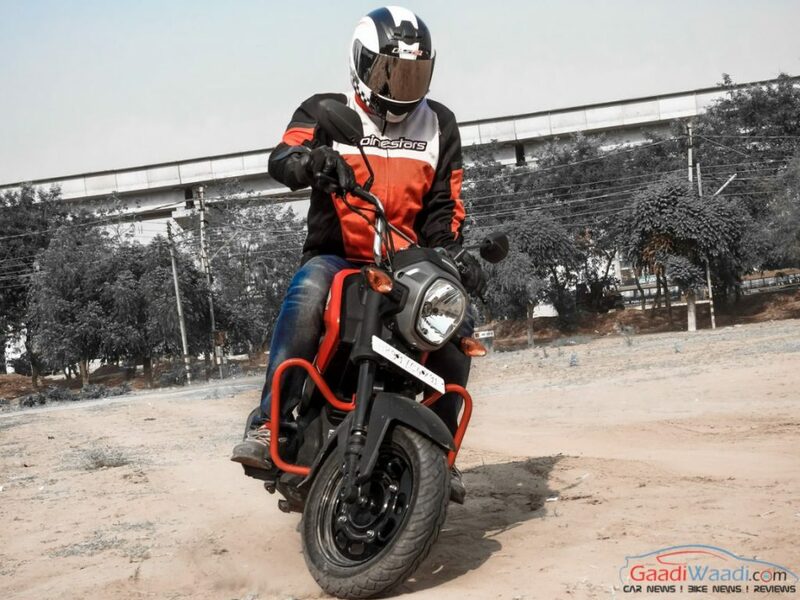 The Navi stands tall and it has tough muscular body which delivers a bike like vibe. On the other hand, the small 12 inch wheels portray a scooter like stance. 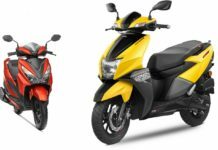 Compare to the existing bikes and scooters from Honda, the Navi features a trimmer appearance which come complemented by the new decals, interchangeable panels, visor and under-body protection. 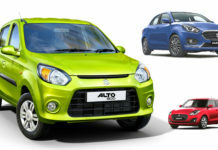 These features will cost you an extra Rs. 6,000 over the standard price tag albeit. Honda Navi being basically a blend between a bike and scooter comes with a riding position like a scooter. The seat appears low which will give the shorter persons a comfortable riding position, while the tall riders might feel a bit uneasy. The pillion is a bit higher from the ground and there is a grab rail as well thankfully. The Navi’s ground clearance is pretty low, just like other scooters in the market. It would be a trouble while riding on a road filled with potholes, just as the usual Indian roads are like. The front USD forks give the Navi a sturdy motorcycle look, but honestly the suspension could have been improved. 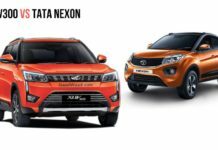 The mono analogue instrument console reads basic stuff like speed and miles travelled besides indicator lights and high beam for headlamp but without a fuel gauge. Going back to traditional engineering, it has fuel knob on side panels where you can switch between main and reserve. Unlike the other Honda scooters, the Navi has fuel filler cap in conventional position as opposed to under-seat provision. The switchgears come from Honda’s regular parts bin. 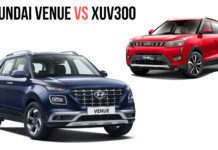 As has been the case, the Navi doesn’t have a kill switch and it should have had headlight pass button in our opinion. Another conventional part is the choke placed near the horn switch while the self-start button and kick starter are where they should be. 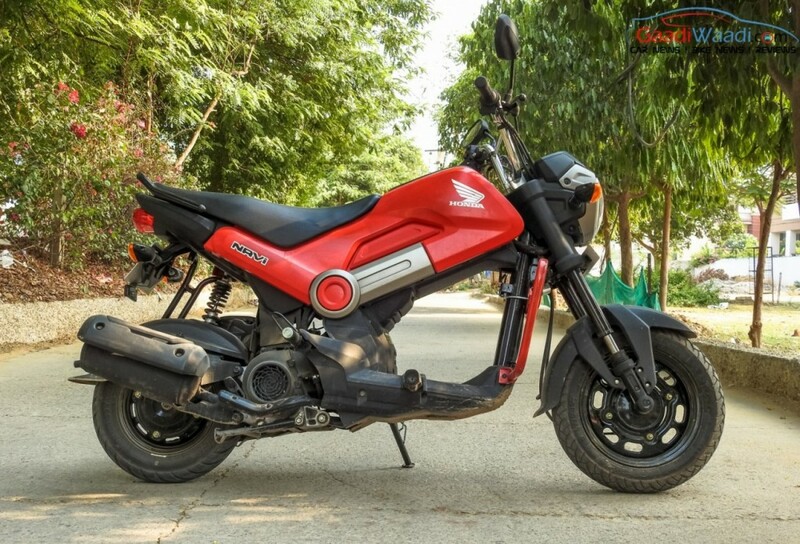 The Honda Navi allows for a good degree of customisation as you can fill the gap beneath the fuel tank by ordering a box, perhaps to making it look a scramble-alike. In contrary to the scooter range, the mini bike doesn’t have hooks to hangs bags. 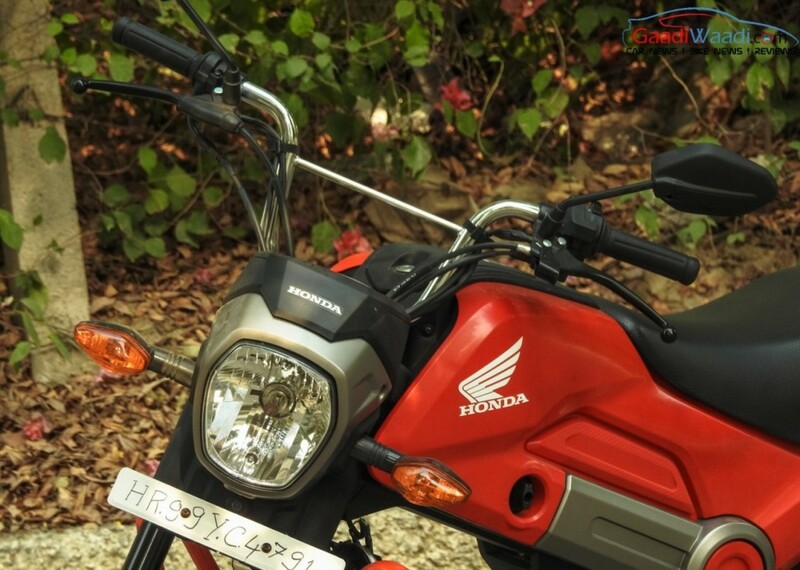 The Navi is powered by the peppy 110 cc engine which produces power on the Honda Activa also. Therefore, the engine sounds identical. 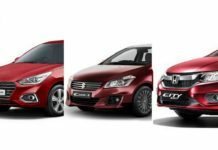 The engine losses 7 kg weight compare to the Activa, which means the engine is 6% lighter in Navi. This surely makes the Navi quicker. 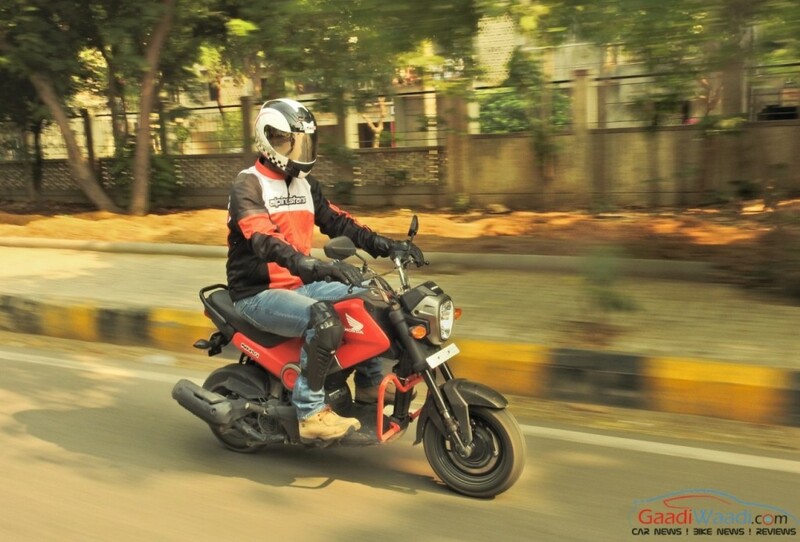 Compared to the existing Honda scooters, the Navi is aggressive and silent. 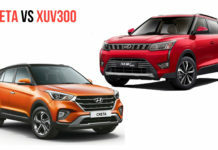 At 60 kmph, the Navi is pretty smooth and overtaking is fun thanks to its lighter weight, which helps to accelerate very quickly. 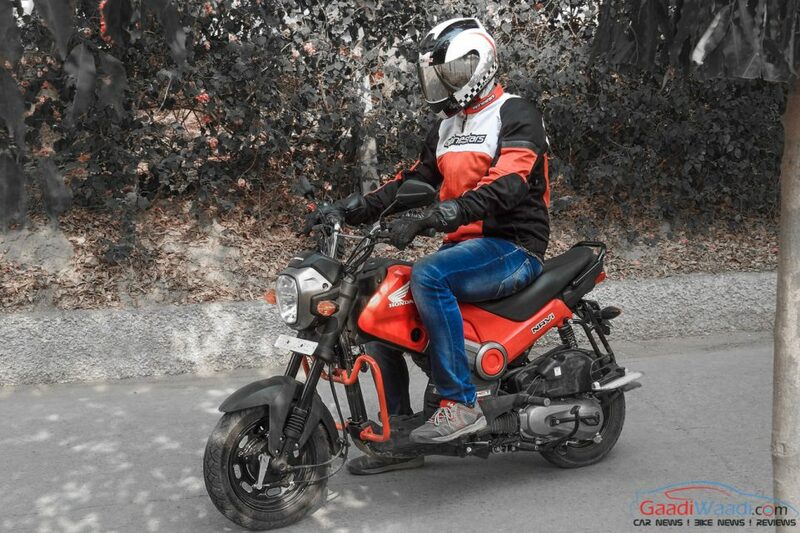 Surprisingly, with the pillion, the performance of Navi is not affected even with extra weight. 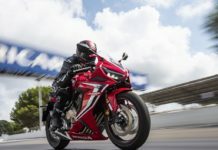 Honda can equip the braking set up with disc and CBS, as it will enhance the sporty character and confidence of the Navi. 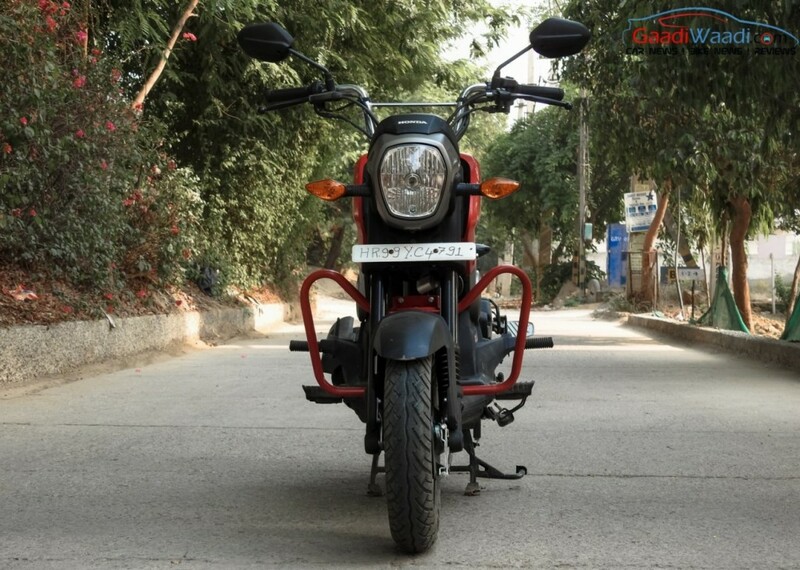 On our congested Indian city roads, the small turning radius makes Navi a very comfortable and easy handling two wheeler. So far, riding Honda Navi will surely bring smile and joy to you. 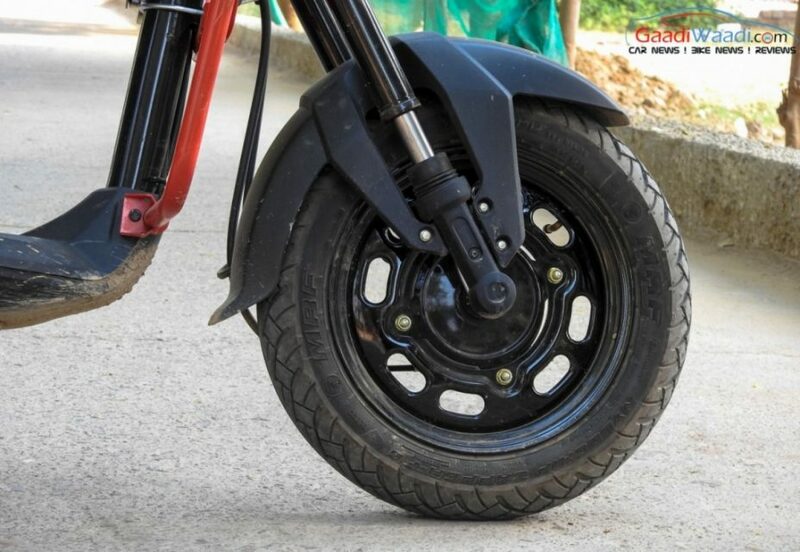 The Honda Navi gets telescopic forks up front and a 12-inch wheel carried forward from the Activa 125 and the side mounted mono-shock rear suspension as seen on Honda’s scooter range. The suspension absorbs the impact well but it has own limitations. 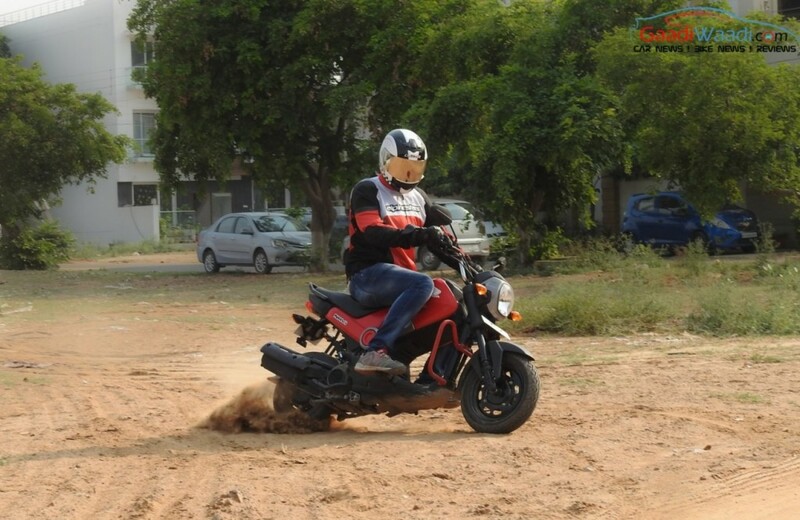 On a rough patch of road, you do feel the mini-bike jumping about. 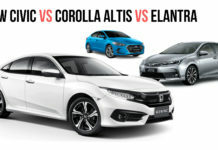 The Navi’s handling ease and ride quality exemplify the renowned engineering excellence of Honda. 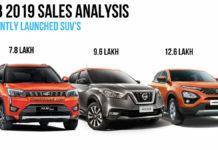 Despite being underpinned by parts from various two-wheelers in Honda’s portfolio, the company has put thought into making the Navi an unique handler with quite an easy-going chassis. With or without a pillion, the Navi can tackle bumps and undulations without discomfort. 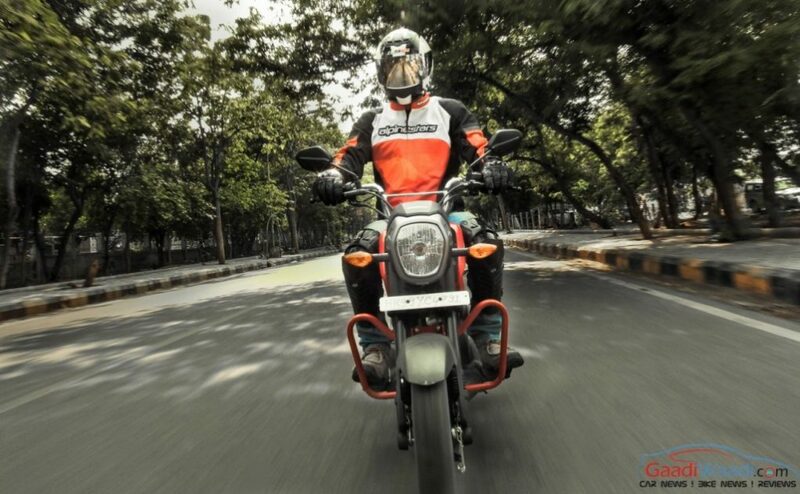 Through the corners, the lightweight comes into play as you can manoeuvre the part-scooter-part-bike with composure and confidence. 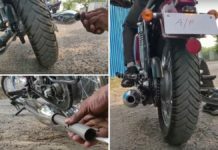 The improved front forks make the Navi ride better and the uneven roads can be worked without any hardship. However, when going gets tough the Navi asks for rider’s skill on bumpy sections. 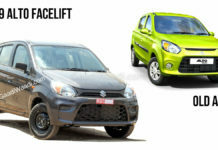 The small turning radius makes the Navi a swift handling machine and therefore pushing through the traffics won’t be an issue. This complements the Navi as an urban and city commuter. 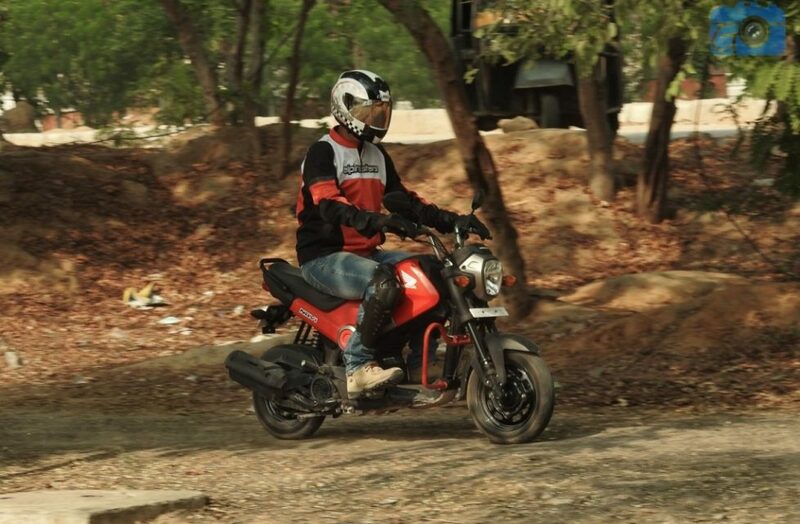 The Honda Navi carries lot of surprises right from the product, ride-ability, price and design. 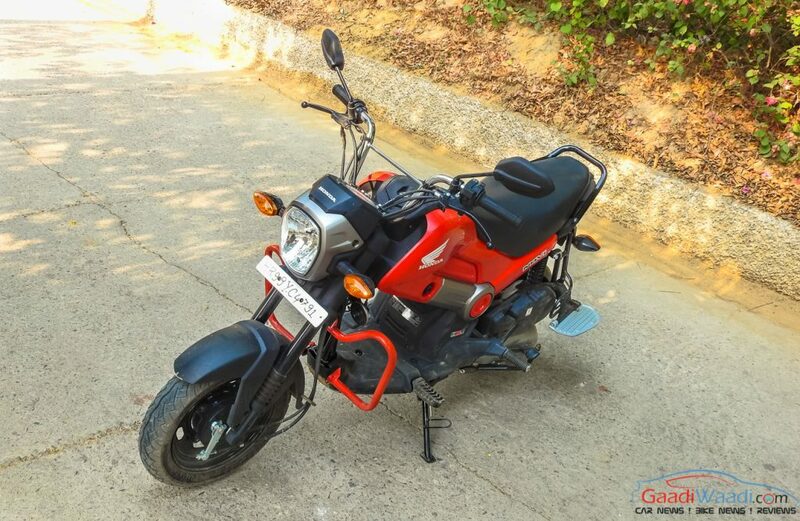 There is no denying that standard variant of Honda Navi looks odd and this is the only thing against the Navi but Honda has a solution for that also with lot of customisation packs. 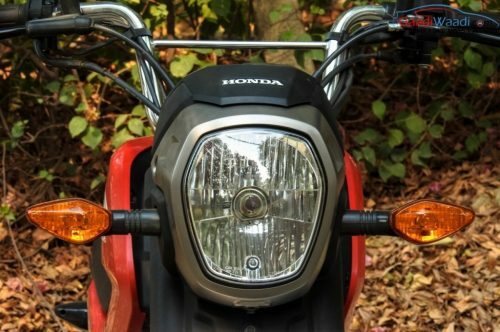 Along with the excellent pricing, the Honda Navi is the most fun to ride city commuter in India and it will surely be a threat to entry level bikes and even to scooters. 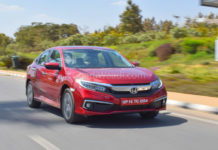 The initial response wasn’t that great in terms of sales but booking numbers stand at 10,000 in first quarter which is similar to what Activa recorded in its first quarter when launched back in 2000. So, is Navi on the Activa way? I can say “yes”.